RACE ON DOWN to MostlyManx! MostlyManx is pleased to feature the classic work of local artist and TT enthusiast, John Hancox this TT fortnight. Be sure to visit MostlyManx to see his specially created MostlyManx Cartoon (shown below)! Also on display is his 'work in progress' watercolour painting of TT racer, Dan Kneen in action! 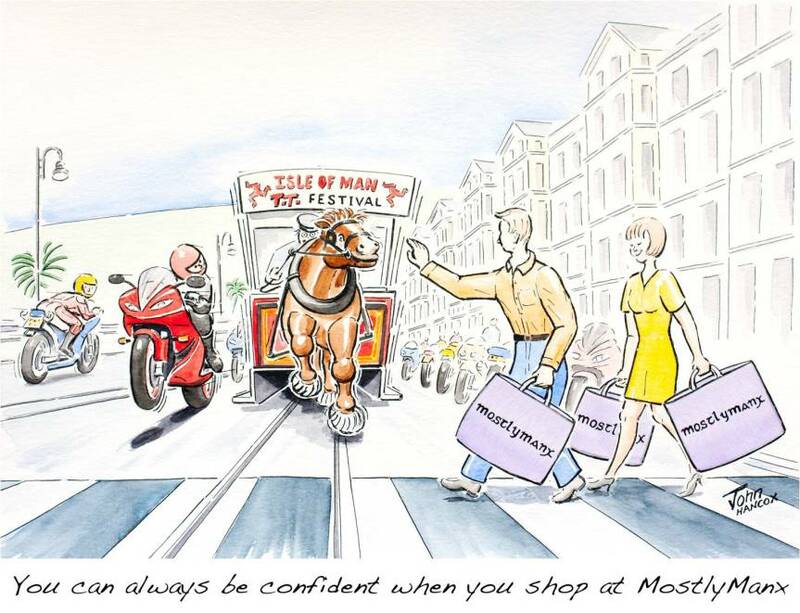 Remember MostlyManx for the very best selection of locally produced , genuine Manx gifts!